Posted on January 10, 2018 at 4:10 pm. First nasal sprays, and now brain implants have been suggested as a solution to combat problem gambling. Problem gambling is an issue which plagues the world, and researchers around the globe are working tirelessly to come up with a solution for the minority who play real money casino games and develop addictions. 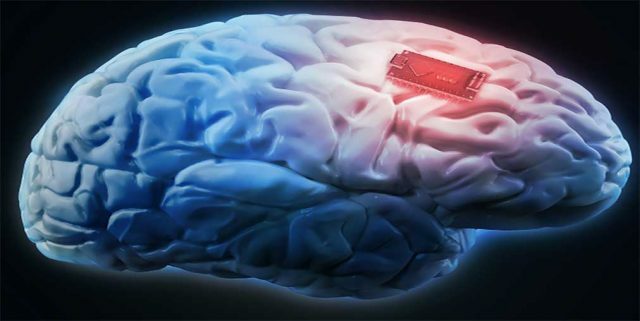 Researchers at the Stanford University Medical Centre have been looking into the potential of a brain implant to prevent certain behaviours and thought processes believed to be at the root of the addiction. The team, led by an assistant professor of neurosurgery, Dr Casey Halpern, studied electrical signals in the brain to calculate specific pathological behaviours. Using mice which had been taught to overindulge in greasy food, the team found that a distinct pattern of electrical signals would take place seconds before they began eating the foods. The researchers placed electrodes into the mice’s brains, sending a 10-second pulse directly to the region of the brain, called the nucleus accumbens – the area of the brain responsible for pleasure and rewards. The team found that following the quick pulse, the mice were no longer interested in gorging themselves. The team then found that their hypothesis had been tested on a human sample, discovering a man had been implanted with a brain chip to help treat a severe obsessive-compulsive disorder. “If you’re going to binge or do anything that’s impulsive or reward-based, you always have a sense that something is rewarding right before you do it — sort of like a craving,” Dr Halpern told NBC News. The team concluded in the paper published in the journal Proceedings of the National Academies of Sciences that electrical stimulation of that specific part of the brain could lead to treating addictions including those who have a problem playing the slots. “Imagine obese people or pathological gamblers who are bankrupt, or even a depressed patient who has the impulse to commit suicide,” Dr Halpern said. Dr Halpern’s comment may resonate with many, with researchers in Finland looking at a less invasive form of treatment. They determined that certain patterns occur in the pleasure centre of the brain when an addict gambles, similarly to brain patterns in those addicted to drugs. After finding some success testing problem gamblers with a pill form of a drug which treats heroin overdoses, the researchers are looking to trial a nasal spray of naloxone which will act as a faster route of administration. While the two applications are big advances in the medical field, unfortunately, it’s unlikely they will be available in the immediate future for problem gambling applications. The nasal spray is only in its testing phase, with results expected to be published in a year or so. But one day the world could drastically reduce or even eradicate problem gambling rates via a brain implant or a pump of a nasal spray, which is what makes their research so profound.